The clever way to save space with style! 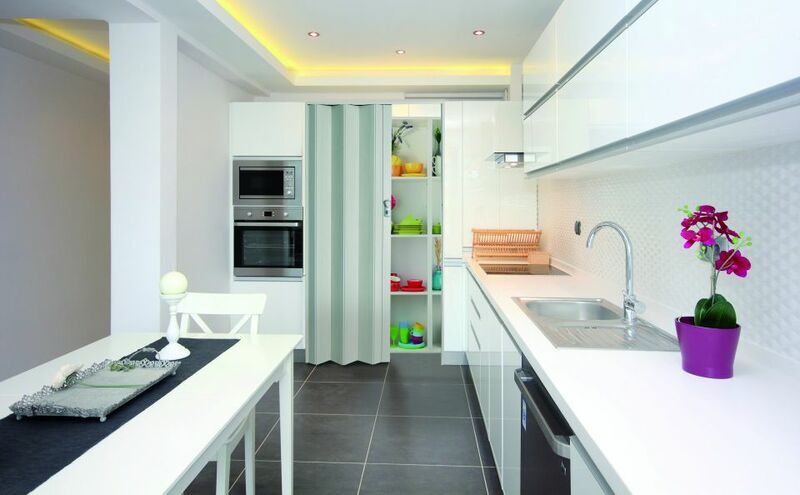 We often find that we don’t have enough room in our living spaces and are always looking for solutions to optimize. A small bathroom fitted in a child’s bedroom or a spare room, or a storage room that you would like to conceal but don’t have enough space for a traditional door? Grosfillex proposes a solution that is accessible to all. Forget the bead curtain or the piece or fabric that does not match the decoration of your room. 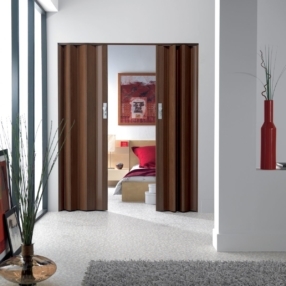 Grosfillex foldable door offers a separation that is clean, high quality and optimal. It will easily blend in with the decoration of any rooms. From aged wood to natural oak appearance, including the timeless and ever trendy white, there is something to suit all styles! Available in 2 versions: solid or window-paned. How can you carry your door away? No problem, the door comes in a compact package. It is composed of panels and joints (flexible or rigid depending on the model) and designed for self-assembly. 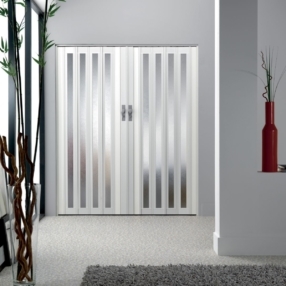 Grosfillex doesn’t propose an extensible door covering merely 0.84 m! Far from it, we have designed a product that can be modified and adapted to the spaces you need to separate.